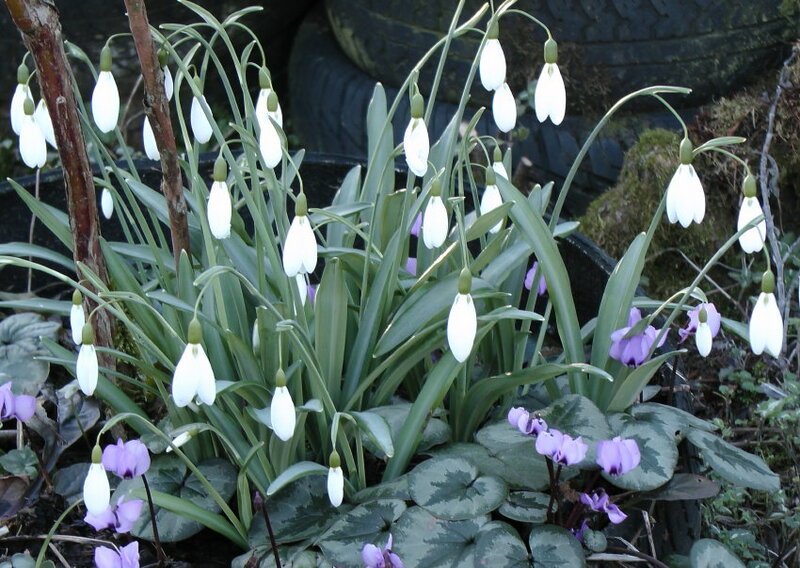 We were rather pleased to get a call from a BBC2 Gardeners’ World researcher a few weeks ago asking about what Spring bulbs we grew and a bit of background to the garden and ourselves. We were told decisions would be made whether to come and see if we were suitable in the next few days…… a call duly came through and a visit from the recce team was scheduled for the following week. 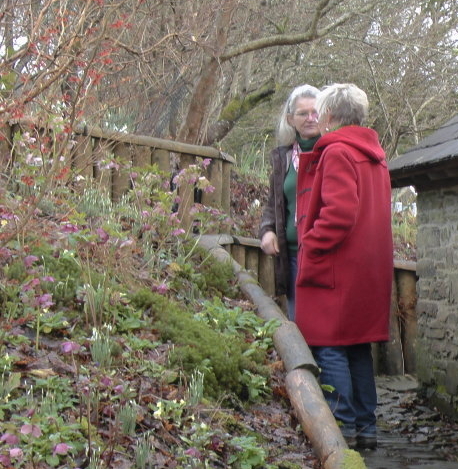 Two very nice chaps came and spent a couple of hours with us walking round the garden and chatting in cold, mizzly conditions while recording it all on a hand held video camera. Now we have been down this path before with the Beeb and it is at this point that we don’t hear anything further – for whatever reason we haven’t been quite what they were looking for. 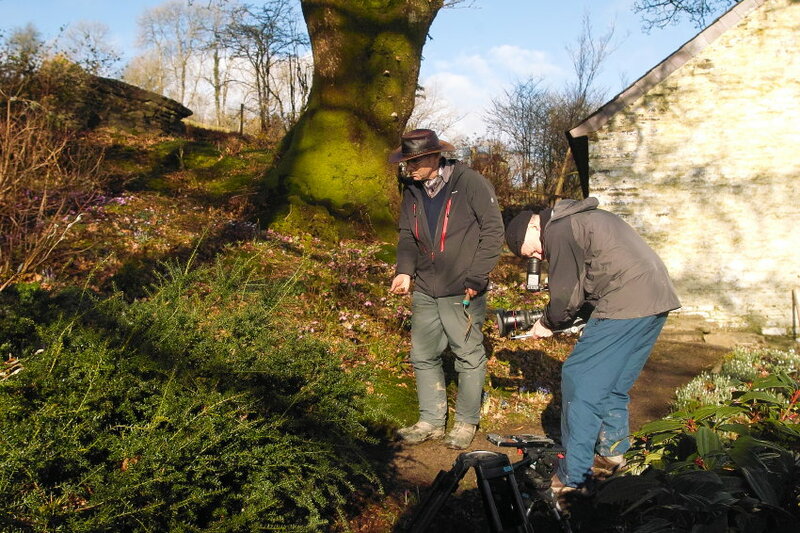 So we were more than a little surprised but delighted to get a call a couple of days after the recce to arrange dates for filming the following week. 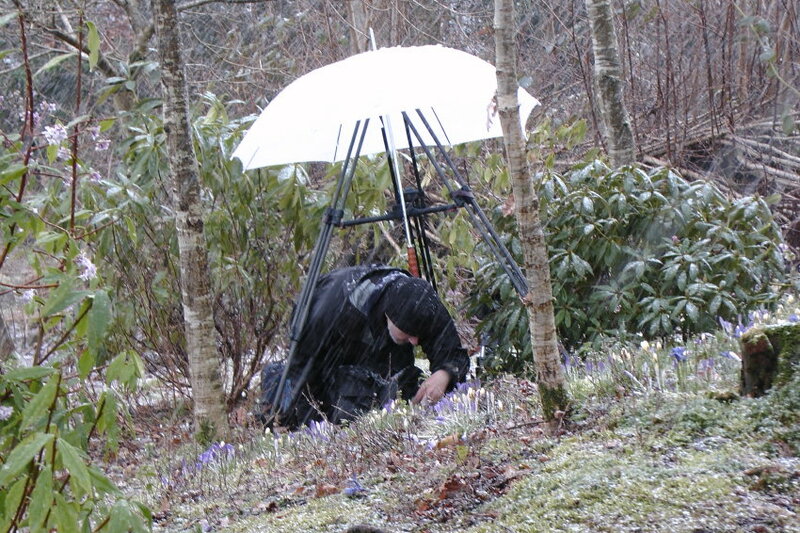 Filming crocus in the snow! 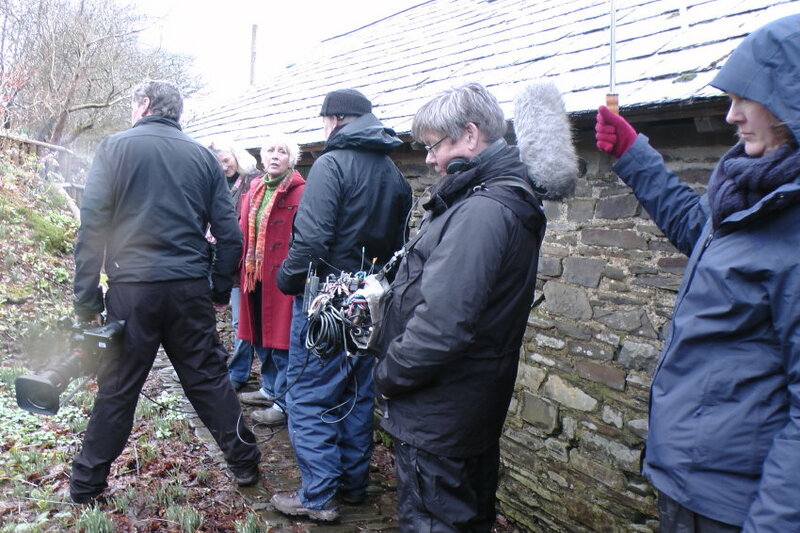 Another take – in the rain! 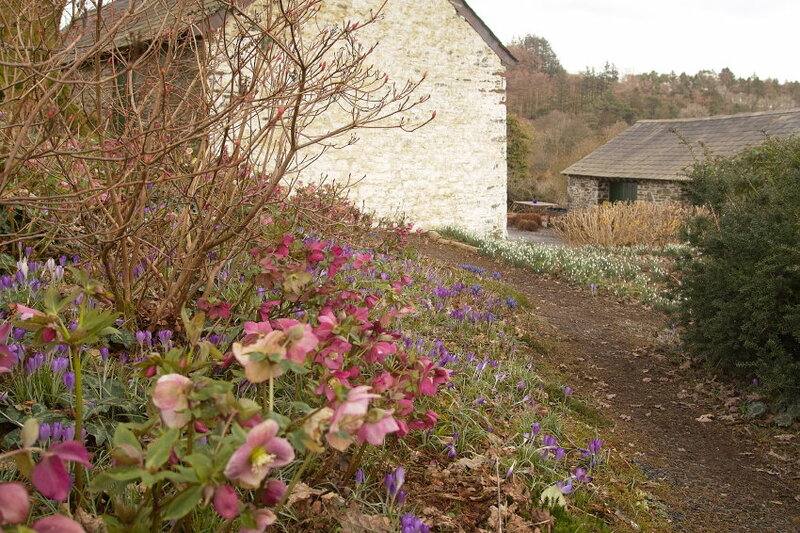 We would have to say it was the garden with its profusion of early spring flowers – Cyclamen, Snowdrops, Hellebores, Iris reticulata, Scilla mischtschenkoana et al all doing their best to impress, rather than the 2 gardeners that convinced the Beeb to come. 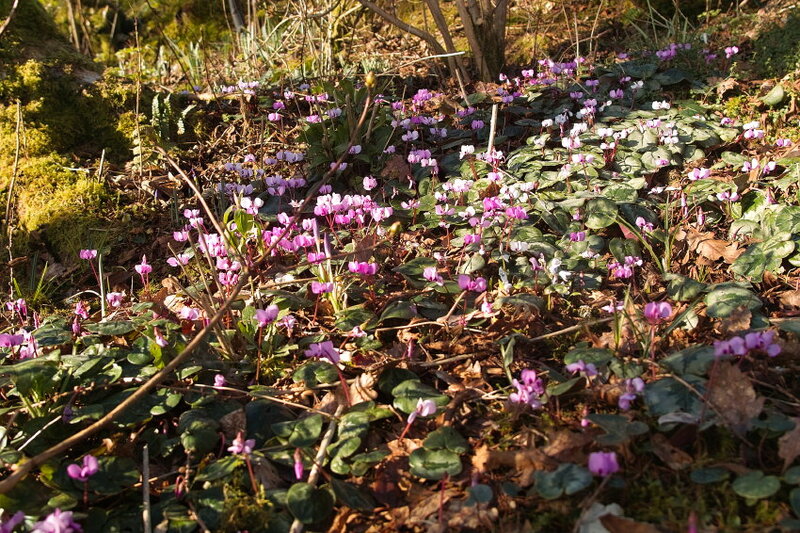 The weather threw everything at us, mercifully with the exception of strong winds, which was brilliant as it demonstrated just what these wonderful Spring plants have to cope with and yet still manage to delight us with their early colour. 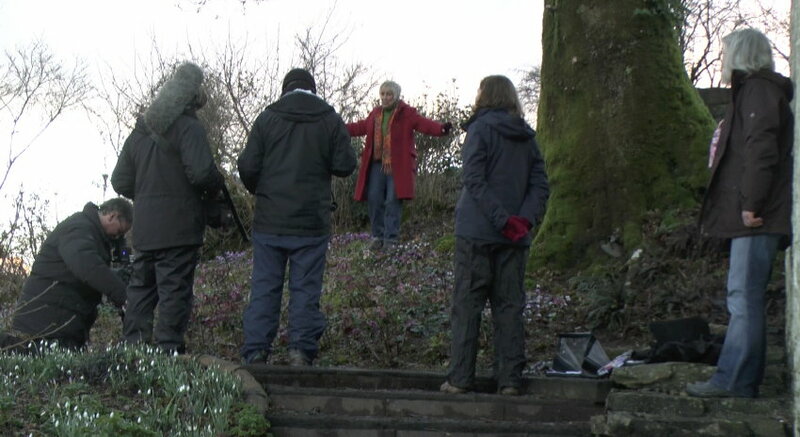 The three days of filming, one with the full team of five including the lovely Carol Klein, will be condensed down to about 6 minutes and will be broadcast in the first episode of the new series of BBC2 Gardeners’ World on Friday 4th March if you live in England, and Saturday 5th March at 8.30pm if you live in Wales. 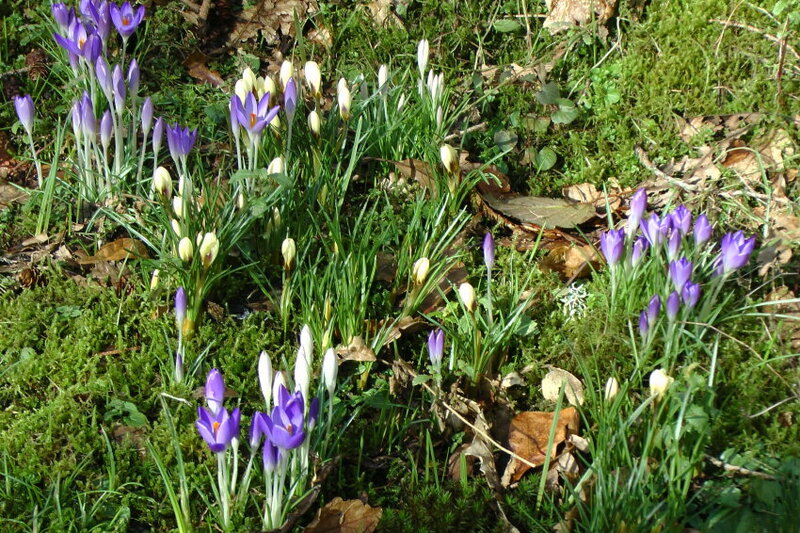 ← New Programme Kicks off to a Great Start……..